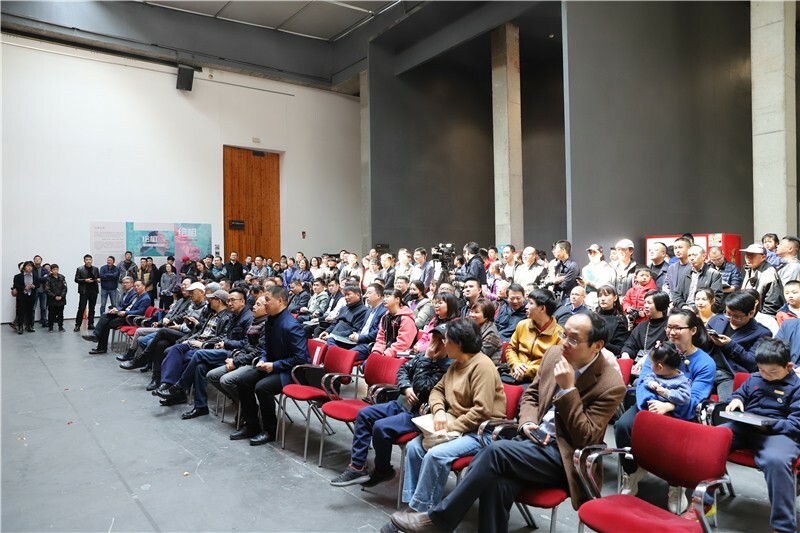 On March 16th, “Painting Face-to-face” Exhibition of Zhou Huamin opened at Ningbo Museum of Art with more than 100 pieces of portrait work being exhibited. Fang Zhenning, the independent curator, art critic, member of the China Artists Association Curatorial Committee is addressing. 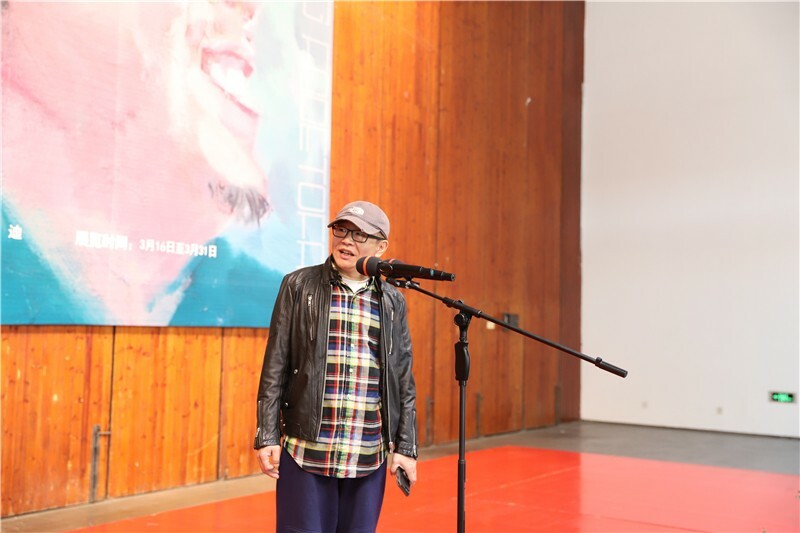 Meng Luding, the famous artist, professor of the Fifth Studio of the Oil Painting Department of the Central Academy of Fine Arts, doctoral tutor is addressing. Li Tianyuan, the famous artist, Associate Professor and doctoral supervisor of Department of Painting in Tsinghua University is addressing. Li Di, the famous German Chinese artist, Distinguished Professor of Tianjin Academy of Fine Arts, graduate advisor, Distinguished Professor of the Institute of Design and Art of College of Science and Technology Ningbo University is addressing. 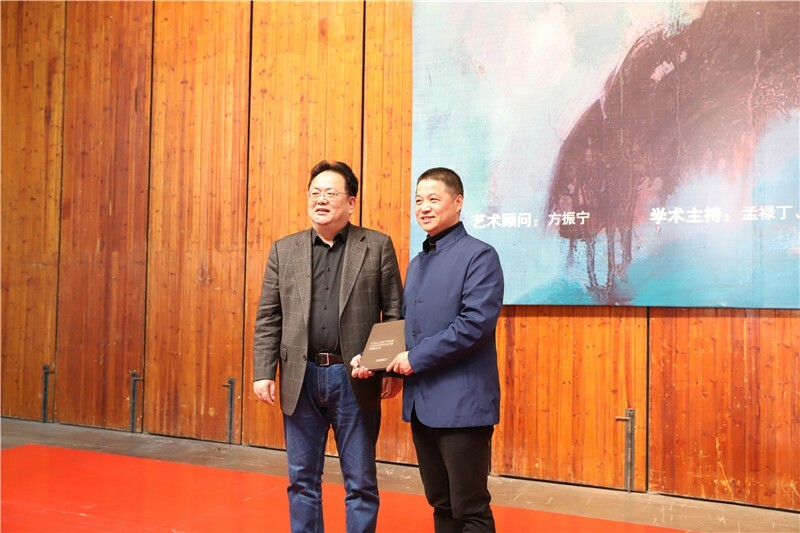 The Secretary and Deputy Director of Ningbo Museum of Art, Sun Peiliang, is issuing the Collection Certificate to Zhou Huamin. Fang Zhenning, the independent curator, art critic, member of the Curatorial Committee of China Artists Association; Meng Luding, the famous artist, professor of the Fifth Studio of the Oil Painting Department of the Central Academy of Fine Arts, doctoral tutor; Li Tianyuan, the famous artist, Associate Professor and Doctoral Supervisor of Department of Painting in Tsinghua University; Li Di, the renowned German-Chinese artist, Distinguished Professor and graduate advisor of Tianjin Academy of Fine Arts, Distinguished Professor of Institute of Design and Art of College of Science and Technology Ningbo University; Sun Peiliang, the Secretary and Deputy Director of Ningbo Art Gallery and Chairman of Ningbo Artists Association; Mei Fachai, the professor and department head of the Institute of Design and Art of College of Science and Technology Ningbo University; Chen Qi, the Deputy Director of Zhejiang Artists Association Comprehensive Art Committee, Vice Chairman of Ningbo Literature & Art Critics' Association (NLACA) and Vice Chairman of Ningbo Artists Association and the painter Zhou Huamin attended the opening ceremony. 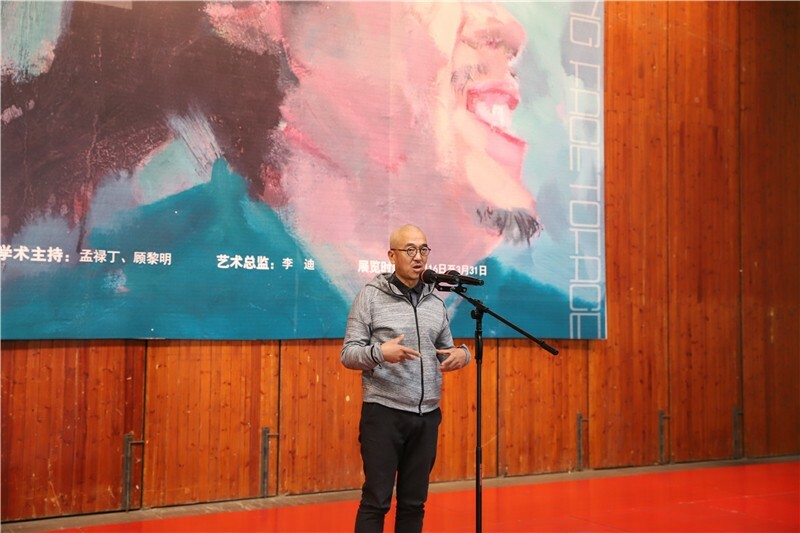 Fang Zhenning, Meng Luding, Li Tianyuan and Li Di as well as Zhou Huamin gave their speeches successively, after which Sun Peiliang inaugurated the exhibition. Zhou Huamin, born in Xiangshan, Zhejiang, is now working at Ningbo Municipal Public Security Bureau. He is good at oil painting and used to serve as the Vice Chairman of the Xiangshan Artists Association. In his early years, Zhou Huamin presented a series of meaningful public-security-theme works with rigorous and realistic painting style, simple artistic language, and superb expression skills, which were recognized by the industrial insiders. One of his works named “Love in Wenchuan – Warmth” was chosen in the “Brilliant Landscape – Zhejiang Oil Painting Exhibition in 2009" and won the Excellence Award. His work "Light of Life" was selected into the “Ningbo Calligraphy and Painting Exhibition of the 60th Anniversary of the Founding of New China” and collected by Ningbo Museum of Art. The three themes of portrait paintings exhibited this time are "Self-portraits and Friends", “Series of Artists in Chinese Art Circles" and “Series of Paintings with Two Characters ". In recent years, the painter, Zhou Huamin, has created a large number of portraits with colleagues, friends, artists around him as objects, mainly depicting their mental conditions in this rapidly developing society, including confusion, anxiety and perplexity. During the processes of his creation, Zhou Huamin's style gradually becomes freer and simpler. His portrait works are no longer the reappearance of objective realities, but the subjective colors, random compositions, exaggerated shapes, and freely formed strokes which present a touchable entity on the canvas. It not only makes the picture full of tensions and expressions, but also records his own thoughts, emotions, and movements on the canvas. The exhibition will last until March 31st.